There is no denying the fact that tattoos are painful. Regardless if you are a tough macho guy or a teenage girl, the pain that comes with having a tattoo is just the same. It feels as if thousands of needles are pricking you and there is no way around it. Or so we thought. These days, the industry experts were able to develop the perfect solution to stop and prevent tattoo pain—tattoo numbing cream. If you wish to get a tattoo without experiencing the pain that comes with it, then you should get to know these creams a lot better. Lucky for you, though, we have everything that we need right in this article. What is a Tattoo Numbing Cream? A tattoo numbing cream is a cream that contains topical anaesthetics such as tetracaine, lidocaine, benzocaine, and prilocaine. This cream is applied to the skin before the tattoo procedure, and it works by temporarily numbing the skin’s nerve endings to make the process as painless as possible. 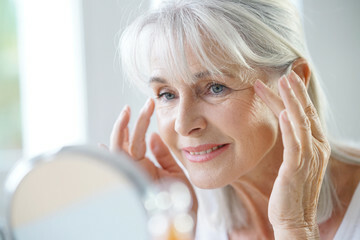 The effects of the cream may last for 60 to 90 minutes. Recently, many people have found other uses for this type of creams. These include the relief of insect bites, scrapes, minor wounds, sunburn, and allergic reaction to poison ivy. Blocking the nerve endings is the most common way that anaesthetics work. These creams lower the number of pain signals that the nerve endings send to the brain. Because of this, this type of creams are effective in reducing the pain that the person feels, but it doesn’t completely get rid of the pain. Because of this, it is usually used in combination with another type of numbing cream, like the one below. Instead of just blocking the nerve endings, deadeners work by temporarily preventing the nerves from actually working. As a result, the nerves do not register any feeling of pain anymore. Vasoconstrictors are not actual numbing agents, but these promote the constrictions of blood vessels which slows down the flow of the blood in a certain part of the skin. Because of this, the absorption of chemicals in the body, which prolongs the effect of the different numbing agents in the cream. Because of this, the amount of pain that the user will experience is reduced for a prolonged period. Does Tattoo Numbing Cream Come With Side Effects? These side effects can be felt right after application. But there are some instances wherein the user experience these effects a day or two later. People with sensitive skin or other underlying skin conditions are the most prone to experiencing such side effects. If you are one of these people, you may want to speak with your doctor first before using the cream. • Wash the skin first. Before you put on the cream, make sure that your skin is properly washed and cleaned to get rid of the dirt and dust that may prevent the absorption of the active ingredients. After washing the skin with soap and water, pat it dry using a towel. • Cover the skin after applying the cream. After you have generously applied the cream to your skin, cover your skin with a plastic cover or cling wrap. In this way, heat can be generated and it can boost the numbing effect of the cream. • Keep some precautions in mind. There are some things to avoid when using numbing creams. First, avoid creams that contain more than 5% of the active ingredient. In addition to that, never apply the cream to broken skin, or on your tongue, in the nose or your eyes. Tattoo numbing creams allow you to enjoy a pain-free tattoo procedure, but it may come with unwanted effects. If you wish to avoid the said effects, we recommend that you follow the tips mentioned above. Emily is the founder of BodyShape101.com, a blog where she and her associates talk about exercise, fitness, and yoga. They aim to help people like you to achieve the perfect body. BodyShape101 is concentrated on exercise & fitness tips and making the most out of it. She is also a mother of one, and she tries to find the balance between her passion and her biggest joy in life.